Pomegranate has quickly become one of the most talked about super foods in the past two years. Pomegranate fruits contain polyphenols, tannins and anthocyanins, which are all beneficial antioxidants. On the other hand, pomegranate juice contains high levels of antioxidants - higher than most other fruit juices, red wine or tea. 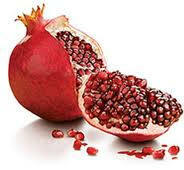 Preliminary evidence suggested that drinking concentrated pomegranate juice may reduce cholesterol. It was further suggested that drinking a glass of pomegranate juice a day for one year reduced blood pressure (particularly systolic pressure) and slowed down low density lipoprotein or LDL cholesterol (the bad cholesterol) oxidation. Salmon is a perfect food to substitute meats. It is a good source of protein and omega 3 fatty acids. With more than a decade of solid supporting scientific evidence, no wonder salmon stays on the top five super food list! In 2002, the AMA recommended eating at least two servings of fish a week, particularly fatty fish such as salmon. With increasing public concerns over farmed salmon, choose wild salmon. Most canned salmon are wild.